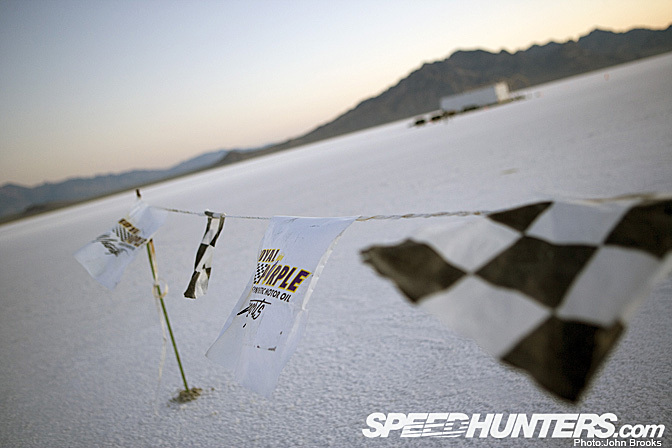 The engines have stopped and silence returns to the Salt Flats once again, at least until the next round of speed and madness spills off Interstate 80 on the Utah/Nevada Stateline. 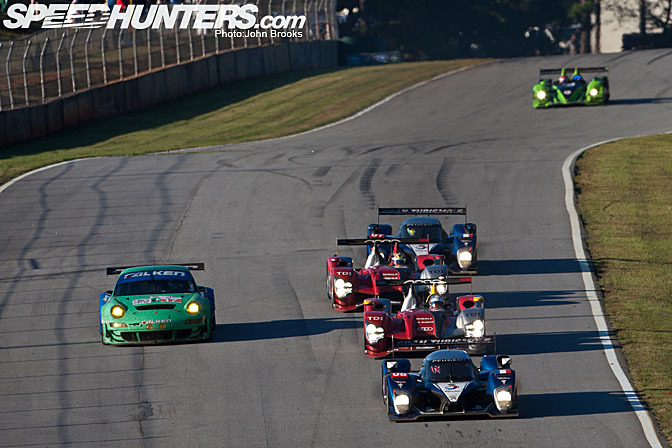 Actually madness is an inappropriate word, at least in the case of Nish Motorsport. 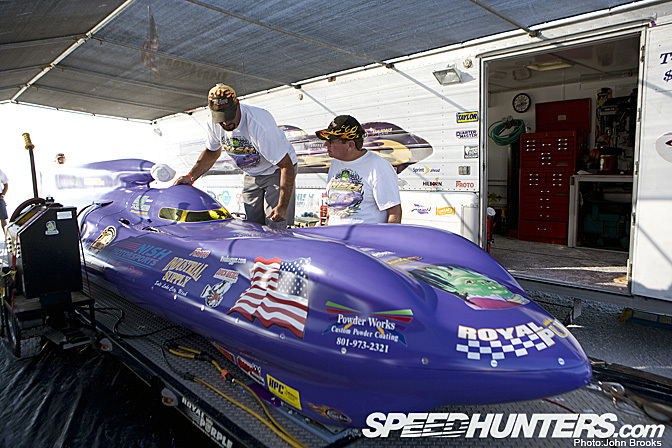 Royal Purple #998 Streamliner crew. A technical piece on a device like the Streamliner is an extremely difficult task, as the use for which it is intended is so specialised, there is almost no real world connection with what we drive in our everyday lives and yet it has an engine, four wheels, a transmission, so there is some common DNA, something to hang the story on. Clint Eastwood in his Dirty Harry persona gave us many pearls of wisdom, perhaps the best was “A Man’s got to know his limitations”. Taking that to heart I decided the best way to explain this extraordinary creature was to enlist the help of Mike Nish, the man behind the wheel at speed on the salt. He was generous with his time, as were the whole team and if there are any inaccuracies in this feature, they are entirely my responsibility. The ultimate aim of the project is to break the FIA Land Speed Record for wheel driven cars, established by the Summers Brothers in 1965. 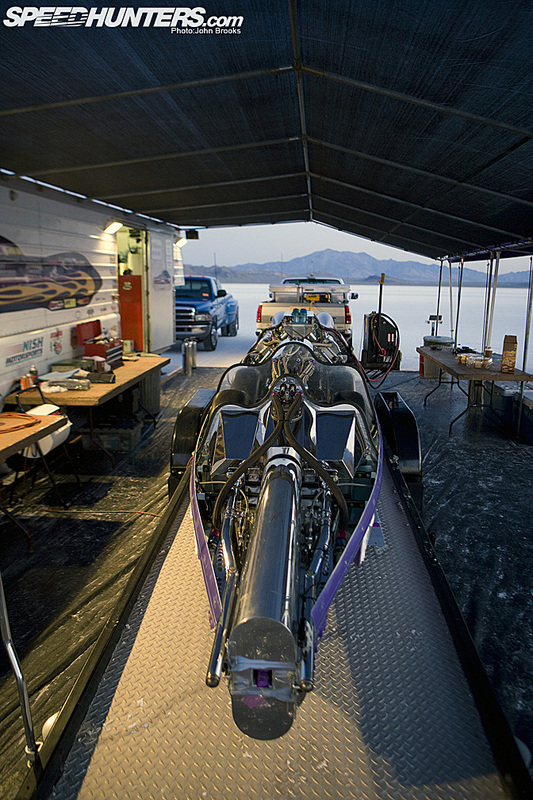 The bar was set at 409.277 mph and to beat that the Nish crew will have to increase it by one per cent or at least exceed 413.370mph. The FIA has a series of rules which must be followed for any record to be ratified, all which ratchet up the difficulties in attempting such a feat. Not least is the requirement to complete two runs in opposite directions within an hour of each other, no stress there at all. Over the years the ingredients for achieving this task has evolved into a list of must haves, top of that list is grunt. 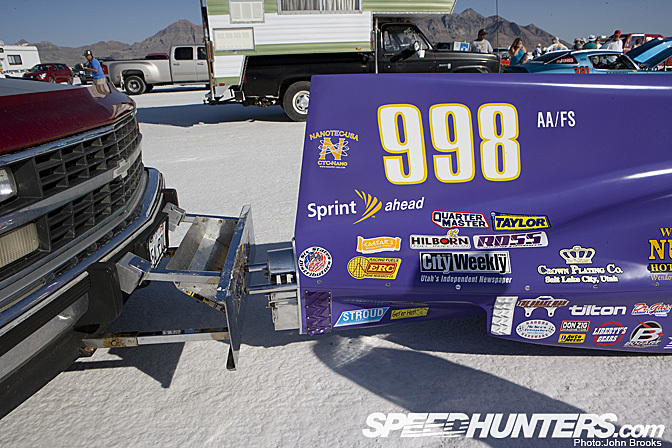 The Royal Purple #998 Steamliner is powered by an 720 cubic inch big block Chevvy, that’s 11.5 litres in funny money. As with all their engines this monster is designed and built by Tom Klein, of Klein Engines, based in Strawberry Arizona. The fuel is pure alcohol. 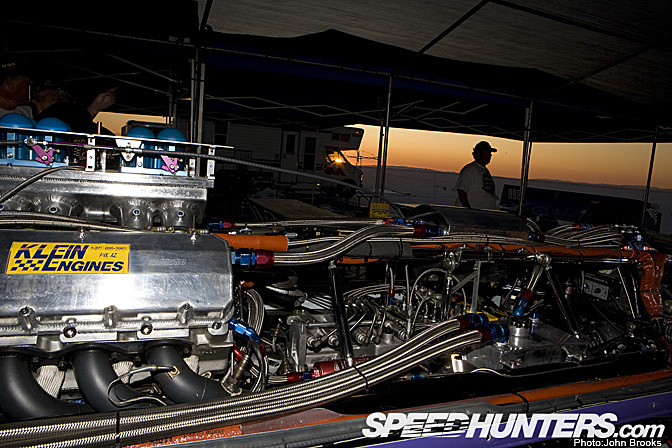 OK this engine is big but even so the output figures are staggering, Mike quoted 1600 bhp and 1650 ft/lbs of torque, you could run a freight train with that kind of power or hit 425mph on the Salt Flats…………. 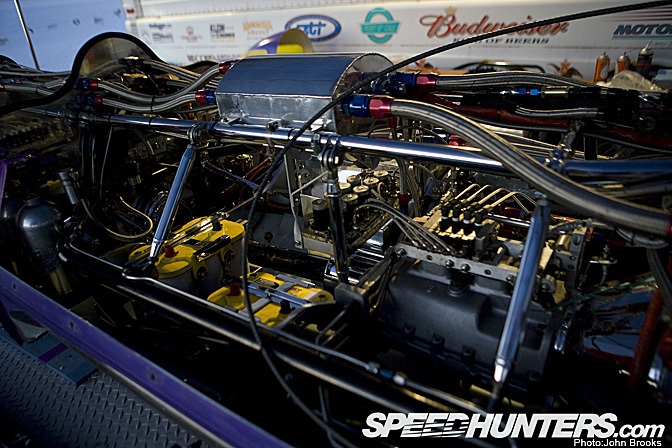 All this power and torque means nothing without efficient delivery to the wheels. So the transmission is also a one off, a Liberty Gears 5 speed air shift system. Traction is a major problem in the early part of any run, indeed the 400mph barrier would have been easily broken on the really fast run but for problems in the first two miles getting up to speed. Any traction control system I wondered? “No only my foot,” countered Mike. 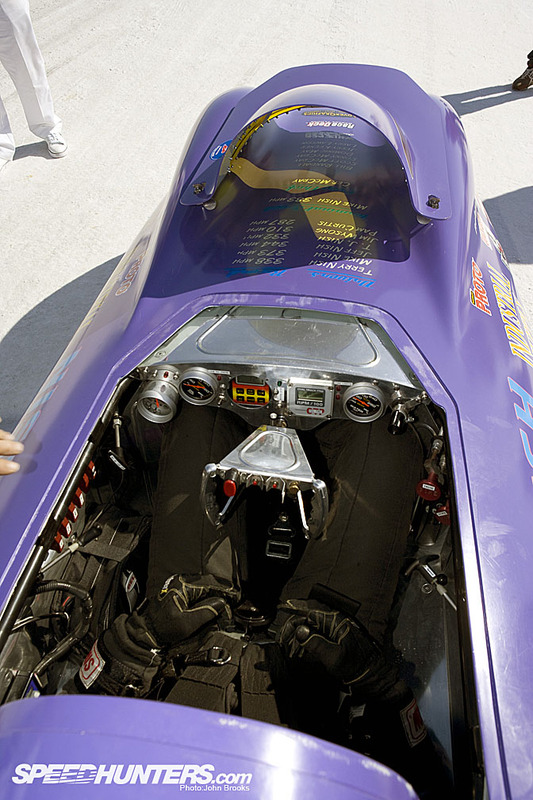 The engine is contained in a unique chassis, created for Nish Motorsports by Tim McNees of McNees Enterprises, based in Salt Lake City. 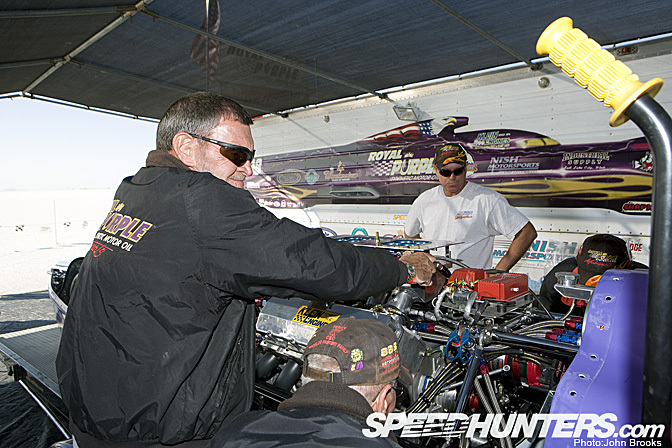 Tim has a long history in building up race cars in everything from NASCAR to Sprint and Oval cars. Mike says “Tim is a fantastic fabricator and craftsman, and we were fortunate to get him to do the chassis for our new streamliner. The suspension is designed and built in house with both front and rear having a coil over shocks and anti-roll bars arrangement. The Bogart Racing Wheels have Mickey Thompson Landspeed Tires. All of which leaves us with the last element in the composition of the streamliner, the bodywork. This was developed and built by Autobody Express a Utah based company run by Jim and BJ Burkdoll. 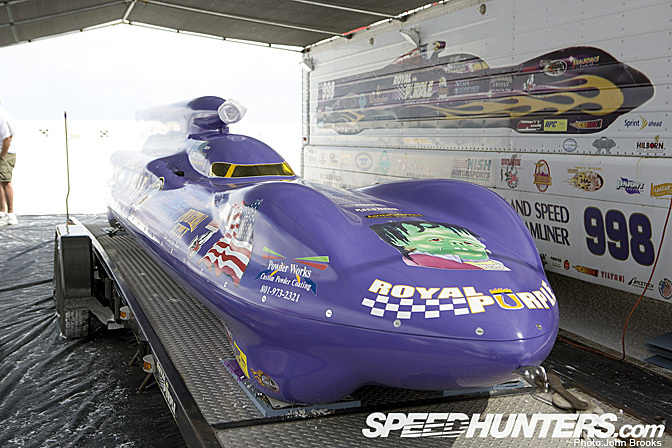 They used their years of experience especially with the Vesco Streamliners to arrive at the shape for the Royal Purple #998 Streamliner. 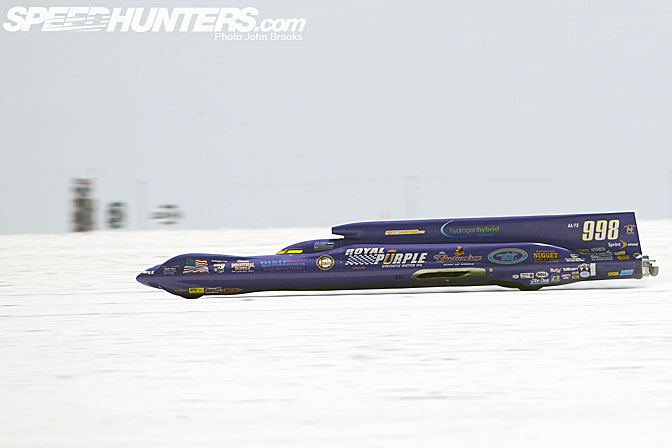 The project was started in 2000 and the original intention was to consider having two engines to power the streamliner but in the end space constraints meant that the team had to settle for one. The whole car took around 18 months to complete rather than the usual timescale of 8 to 10 years. This shows the amount of effort expended by Terry Nish, Cecil McCray and their whole crew. 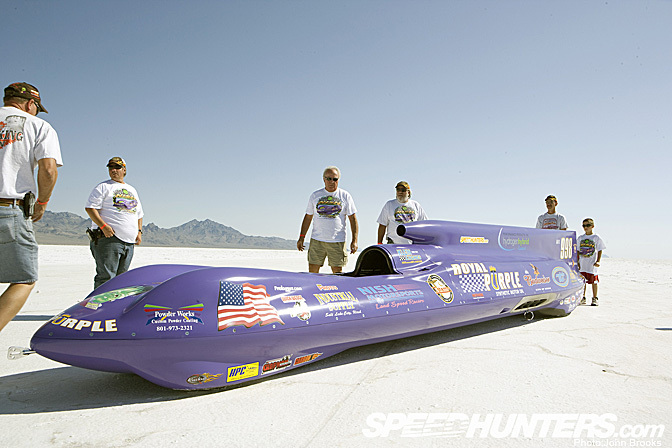 In 2007 the Royal Purple #998 Streamliner took home the Hot Rod Trophy for fastest time at the Bonneville Speedweek, 380.046mph The original small block Chevvy engine was replaced for 2009 as the FIA record became the target for the team, their “Holy Grail”. 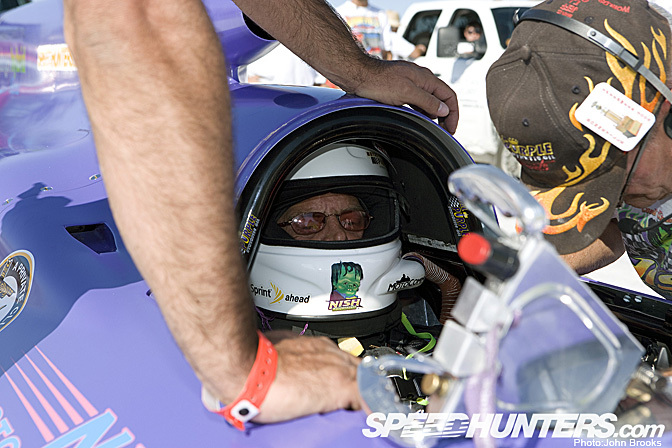 At the Speedweek there were also some clearly defined objectives, the first to beat their own bench mark and on Wednesday 12th August 2009, their second run achieved just that, with a speed of 385.262mph timed at the measured mile and even more importantly an exit speed of 394.537mph. This also ticked another box on the team’s wish list, to know that the engine can get to around 400mph at the 5 mile point. There is a reason why the Summers Brothers’ record has stood for so long and why it is so hard to beat, this target stretches even the best teams and operations. 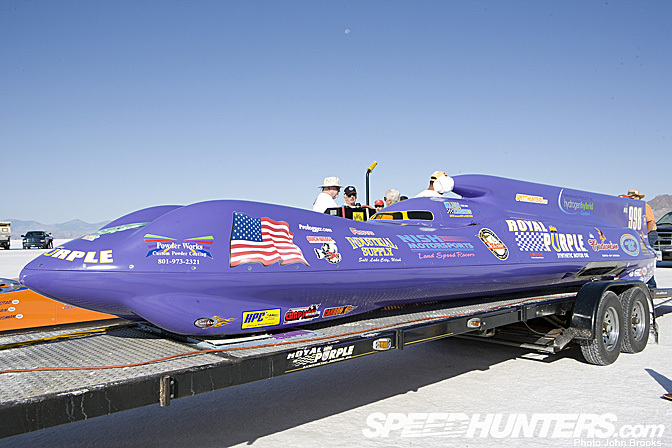 I am confident that Nish Motorsports and their Royal Purple #998 Streamliner will get there, maybe even next month. 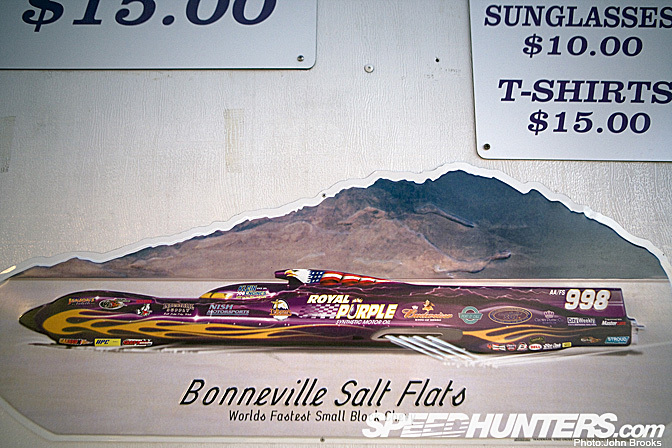 The SpeedHunters team of Rod, Rachel, Will, Linhbergh and myself really enjoyed our time on the Salt Flats and will be following the Nish team’s attempt to reach their “Holy Grail” and bring you the latest news. I was warned before I made the trip to Utah that the Salt would get in my blood, well so it has come to pass. I hope one day to visit again “The Fastest Place on Earth”. As anyone who has been there will tell, there is nowhere like it on Earth. Hi John, nice post. You said "There is a reason why the Summers Brothers' record has stood for so long and why it is so hard to beat." but you didn't actually tell us what that reason was that I can see. I'm curious, as it was set such a long time ago? @Pedey apologies for my lack of clarity............to get into the 400mph mark is really hard, then to make two runs in the limited time allowed by the FIA, is especially difficult. Not many are able to try for this target. Anyhow glad you liked the post, the Nish outfit were great to deal with.............Bonneville is amazing. Nurburging last weekend and Silverstone this, are a long way behind in the fun stakes. 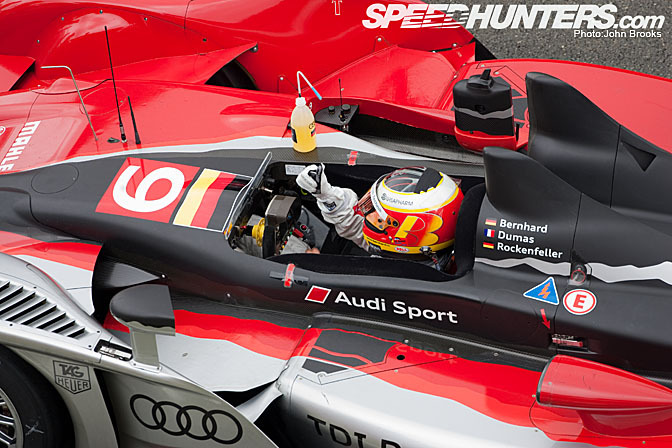 Thanks for this post John, photos are amazing, really of of the best coverage on Speedhunters. I definitly have to go there ! I wouldn't doubt that one of the reasons has to do with the amount of rules that exists today compared with 40 years ago. 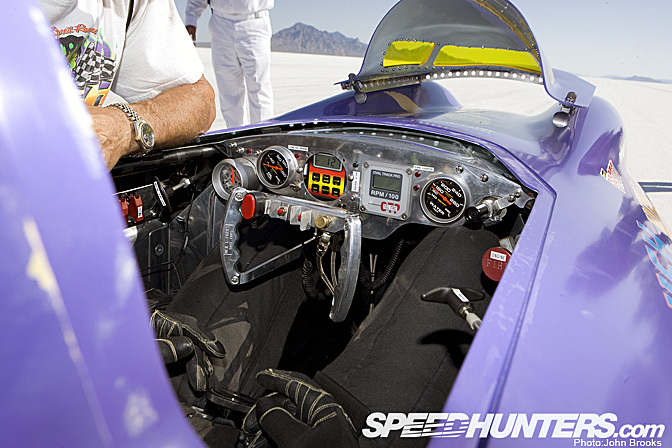 Think of old F1 cars when they used to race with a wooden steering wheel and no seat belts. or not..............actually it easier to say that only 6 cars have been over 400mph with an internal combustion engine and driven wheels in all history. OK that is not to run down Jets or Turbines, massive respect is due to anyone who gets over the 300mph mark........but it does show the context of what Nish are trying to achieve. I believe that the course is, also, shorter today than it was back when the Summer Brothers did their run. I believe they had 9 miles and today, the course is only 5.